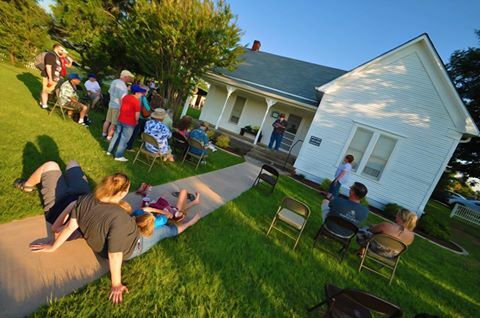 Robert E. Howard Days: It was a GREAT Howard Days! It was a GREAT Howard Days! Before the memories fade, we'd like to thank some folks for helping to make Howard Days 2017 a memorable event! First, many thanks go to Project Pride of Cross Plains, Watchers of the Howard House and the most wonderful hosts anyone could ever have. The docents were at the House ready to go both days, the yard and grounds sparkled in the Texas sun and we were all treated like royalty! A big shout-out goes to Arlene and Tom Stephenson and Era Lee Hanke for all their dedication and hard work year after year. Howard Days would not happen with them. Also, the Robert E. Howard Foundation is a big supporter of Howard Days, as are the members of the REHupa, the Robert E. Howard United Press Association. REHupa members act as Howard Ambassadors all weekend and always help newbies with any questions. And of course, many thanks to all who attended this year! We met some new friends and welcomed them into our big Howard family reunion. Many promises to return in 2018 were heard and will be looking then for the folks who we missed this year. One of the best things about this year was moving the panels to the Fellowship Hall of the First United Methodist Church in Cross Plains. Spacious and cool, it featured wonderful electronics for all presentations and the audio was great! Many thanks to all who helped there! So, after a few months respite, we'll start planning for 2018. The dates are set for the second full weekend in June, on the 8th and 9th. As it's never too early to start planning (we know events come and go so quickly! 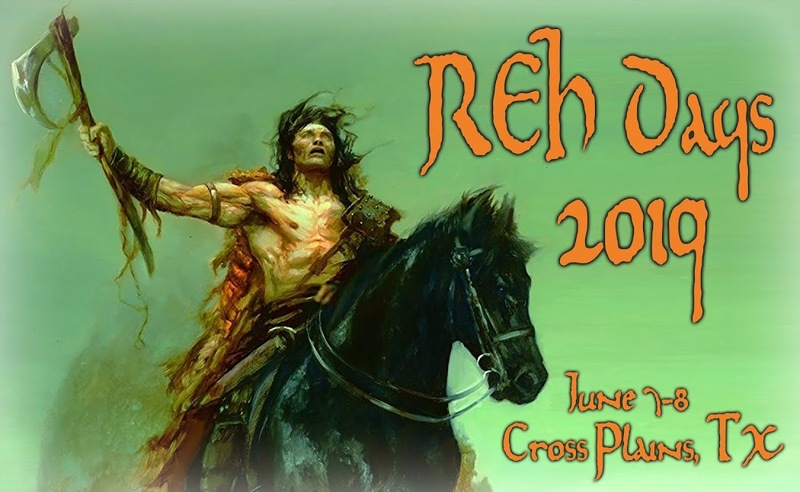 ), think about joining us to support the legacy of Robert E. Howard and join in the fun and fellowship of our little family reunion! See you next year! Bookmarked! !, I really like your web site! Heya i am for the first time here. I came across this board and I find It truly useful & it helped me out a lot. I hope to give something back and help others like you helped me. Howard Days is (Just About) Here!